ABC NEWS - In an exclusive interview Robin Roberts talks with Sterling Brown after video of police tasing the Milwaukee Bucks rookie is released. In 2018, issues regarding race and ethnicity in the state of Wisconsin made headlines often. As we head into the new year, let's recap of some of the top stories from the last 12 months. The police encounter with Milwaukee Bucks shooting guard, Sterling Brown, happened nearly a year ago, but it’s one that’s still fresh in the minds of many Milwaukeeans. Police bodycam video shows Brown, who’s African-American, handcuffed and lying on the ground after being tackled and tased by several Milwaukee Police officers. Officers confronted Brown for being parked across two handicapped spots in a Walgreens parking lot on the city's south side. He was arrested, but not charged. Brown filed a federal lawsuit against the city, the officers and Police Chief Alfonso Morales. The incident occurred before former chief Edward Flynn retired. But Morales had to deal with the fallout. He issued a statement about the tasing incident in May when the body camera footage was made public. 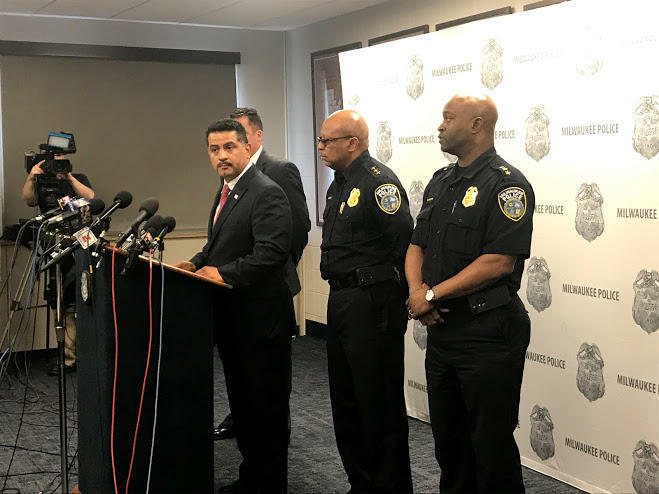 Milwaukee Police Chief Alfonso Morales addresses members of the media in May regarding the Sterling Brown incident. "I'm sorry this incident escalated to this level. When I took office I vowed to rebuild trust between the Milwaukee Police Department and the community ... we are doing that," Morales said. "I promised that when the department is involved in events of this nature we will be honest about them ... and we are." Morales underscored his sentiment in a promotional video released the day before. Many people felt the video was an effort to save face, following the Sterling Brown incident. It garnered national attention and caused an uproar, especially in the black community. Here's Markasa Tucker, director of the African American Roundtable, after the body camera footage was released. Markasa Tucker addresses the media following the release of the Sterling Brown body cam footage. "There has been a continual pattern and practices of abusive behavior by MPD against black people for the last 60 years," Tucker said. 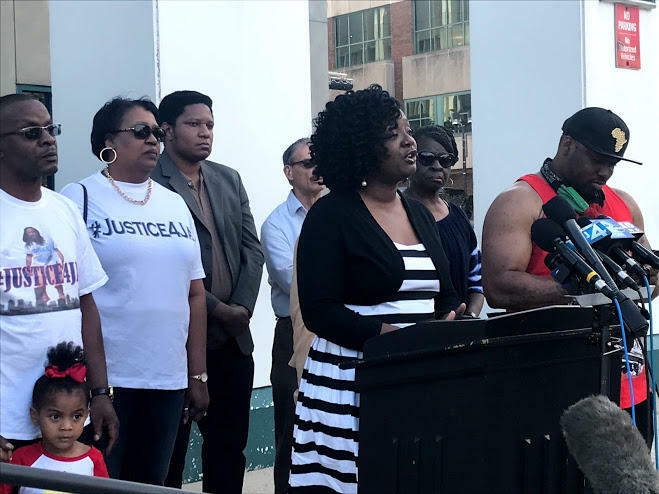 "These situations continue to happen in Milwaukee way too often and today the world will know that Sterling's case is one of thousands of cases of people of color in Milwaukee's whose encounters with police have looked this way or worse." Issues related to racism and prejudice came up in some schools in 2018, as well. This fall, Shorewood High School planned a production of the play To Kill A Mockingbird. But the school faced a backlash from some students and parents for its use of the N-word. Shorewood High canceled the play. And the school hosted a community conversation with Shorewood students, residents, and local and state leaders. It was designed to facilitate small group discussions about race. But tensions ran high and the media was instructed to stop recording early in the session. The auditorium was nearly full at Shorewood HS for the community conversation about race. One attendee passionately pointed out that there was only one reason for the meeting and one issue that needed to be addressed: "Can you or can you not say the word [expletive] in this play?" Shorewood high schoolers said they did not want their fellow students, play or not, to be able to use such offensive language. They said they've experienced racism at the school and in the Shorewood community at large. Another high school in Baraboo, Wis. – northwest of Madison – was in the spotlight late this year for a photo that went viral on social media. It was taken before prom last spring and showed several dozen male students appearing to give the Nazi salute. "I believe that our schools have a responsibility not just to shove information in our kids' heads, but to help the process information, help them learn how to think and to shape them into good human beings," she said. The Baraboo School District vowed to take a number of steps to address concerns the photo raised, including increasing education about the Holocaust. Meanwhile, Rufus King High School in Milwaukee responded with a photo of its own. The school posted a picture on Twitter of students and staff making the American Sign Language sign for love. The post was liked and shared hundreds of times with the hashtag #WisconsinUnitedInLove. Other students also used their platforms to call attention to injustices facing people of color. Malaina Moore gives a monologue about gentrification. Malaina Moore, a student at Marquette University, created a play called White Privilege. It addresses social issues including racism and gentrification. The production sold out all three nights. Moore’s White Privilege returns to the stage in 2019 in Madison at the Kennedy Center American College Theater Festival. Malaina Moore is the mastermind behind the White Privilege stage play. She’s a junior theater major, also working on a minor in social justice and welfare. A Wisconsin school district is investigating a photo of a group of several dozen high school boys giving what appears to be a Nazi salute before their junior prom last year. The Baraboo School District says it only became aware of the photo Monday after it was posted on social media — drawing widespread condemnation. You’ve probably seen the now-infamous photo of dozens of Baraboo high school boys making what appears to be a Nazi salute.